On this page you’ll find a comparison list of cell phone carriers that use Verizon’s network, or what are otherwise known as Verizon MVNO’s. The right Verizon MVNO phone plan can help you to save a lot of money on your phone bill. Some people save over 50% when they switch to a Verizon MVNO. Boom! 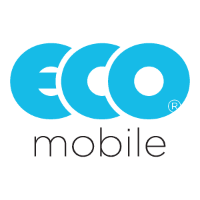 Mobile operates on VZW’s postpaid network that includes extended digital coverage. I already know all of this! Take me to the Verizon MVNO List! Verizon MVNO’s typically buy talk, text, and data in bulk from Verizon Wireless. By doing so, each MVNO is able to purchase service at a big discount. Each Verizon MVNO then resells the talk, text and data back to the consumer with a small price markup making it profitable for the company. Even with the markup, the service is generally resold at a significantly cheaper rate compared to what Verizon would sell the same service to the consumer for. Verizon Wireless has the largest 4G LTE wireless network in the USA. Consequently, Verizon MVNO’s will offer you more coverage in more places than any other MVNO on any other network can. Verizon Prepaid/MVNO 4G LTE Coverage Map As Of 1/19/2018. 4G LTE Areas In Orange, No LTE Coverage In White. Map Corresponds To Verizon’s Prepaid Network Which Is What Most Verizon MVNO’s Use. Areas Of Coverage In Dark Red. No Coverage In White And Pink. 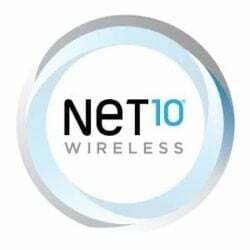 Offering the largest wireless network in the USA comes at a price. Typically Verizon MVNO’s cost more than MVNO plans on other networks do. This is particularly true for those seeking a cheap plan with a limited amount of talk, text and data. That doesn’t mean that there aren’t good options available. Red Pocket Mobile is one of the few that currently offers competitively priced plans for low usage customers. Another traditional con of Verizon MVNO’s is that in the past Verizon limited the data speeds of its MVNO partners to 5 Mbps download and 2 Mbps upload. Fortunately, this restriction seems to have been lifted for a majority of the MVNO’s. Most, if not all Verizon MVNO’s, do not allow roaming on other domestic wireless networks. 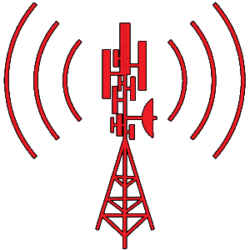 Roaming is what happens when your provider does not have its own towers and network in a given area, but instead uses another network such as Sprint’s to provide you with cellular coverage. 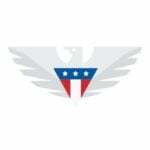 This means that you may see a small drop off in coverage if you switch from Verizon postpaid service where roaming is allowed to a Verizon MVNO where roaming is not allowed. For most though, this should go unnoticed given the vast size of Verizon’s 4G LTE network. Another con, and this is for MVNO’s in general, is that service with an MVNO may be prioritized below service directly obtained from the parent network. As an example, this means that if you are subscribed to a Verizon MVNO and Verizon’s network is busy, you may see your data speeds temporarily slowed down or a temporary increase in network latency. This is something you may never experience though, and is impacted by where you live. Customer support can be hit or miss. Some MVNO’s cut costs by offering either offshore customer support, a limited support staff, and/or limited support hours. Others may provide a support experience that some may find superior to that of Verizon’s. This is one area where the MVNO industry in general is relatively weak. 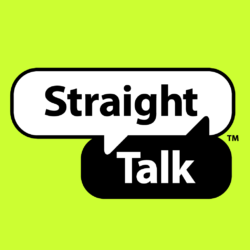 With the exception of a few major MVNO providers such as Straight Talk and Total Wireless you typically don’t see great deals or BOGO offers on cell phones. In fact, most Verizon MVNOs don’t even sell phones. If you already have a Verizon or Verizon branded compatible phone that is paid off and out of contract 1)excluding Verizon Prepaid devices which depending on the device require minimally 1 month of use on a Verizon Prepaid plan before they can be used with an MVNO you can use it with any Verizon MVNO. If you do not have a Verizon branded phone you may still be able to use it with a Verizon MVNO as long as it supports the following LTE bands 2 (1900 Mhz), 4 (1700 Mhz), and 13 (700 Mhz) AND Verizon is willing to activate it. Typically most Motorola devices and Apple iPhones will meet this requirement. If you’re willing to pay more in advance, you may find Tracfone to be a great value. Alright, so you made up your mind that a Verizon MVNO is right for you. Below is a list of all of the Verizon MVNOs that may be able to help you save a lot of money on your phone bill. Each provider in the list above offers several phone plans. With so many choices, finding the right one can be time consuming. I’ve tried to save you some time by going through each of the provider’s plans myself and picking out which one I think is the best. The Verizon MVNO plans that I picked out are the plans that I feel would suit most BestMVNO readers offering them the best bang for the buck. To meet criteria for inclusion into this price comparison list, plans were chosen that contained at least 2 GB of data with unlimited talk and text. If you are looking for wireless phone plans for the family, you can find them here. This plan is only available to Spectrum Internet subscribers. If you cancel your Spectrum Internet service, the cost of this wireless plan goes up by $20/month. Not sure which is right for you? Maybe this MVNO List can help. Need a pay as you go plan? Check out the MVNOs that offer Verizon pay as you go plans. Looking for unlimited data? Check out this list of unlimited data plans. See also Verizon MVNO Family Plans, and if you you need an even cheaper plan, this list of cheap cell phone plans. Hi guys, I currently have 2 lines with Verizon. I have their Unlimited for $110 per month plus the lines and everything else. I use about 22gb of data per month – I travel full time and often use my phone as a hot spot. 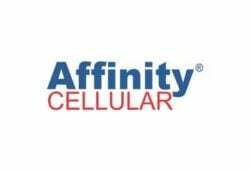 I’m interested in using one of these MVNO’s but are seeing their ability to support and Apple Watch w Cellular service. Any thoughts? Thanks for your help!!! I think you are getting a little bit ahead of yourself. Verizon doesn’t allow VoLTE and HD Voice on the majority of it’s MVNOs yet. This will change later in the year and your phone will be fine. You just may need to update your APN or get a new SIM to be able to enable it. There is no need for a Verizon app to enable the feature on your device or similar ones on a Verizon MVNO. Did anyone try Red Pocket Mobile or Boom Mobile? Is the speed fast enough comparing with normal Verizon experience? Yes. I already wrote a review about this. I have tried both and I keep Red Pocket as a secondary phone. I love them I only have the $10 plan in case of emergencies. Be aware of Us mobile, they have great customer service. The plans say unlimited data, but that is not true. Each plan has a limit and if you go over that limit you are throttled down to 128 kbs. Which is so slow you can barely do anything. There web site only says you are slowed. You have to ask customer service how slow. No, Verizon already owns Visible. Visible service is still different than Verizon’s and beta does not mean free. Visible has not been forthright in explaining how exactly the service works. They’ve been rather vague. You’re not the only one to report outages, but I’ve heard they’ve offered some sort of compensation to those affected. 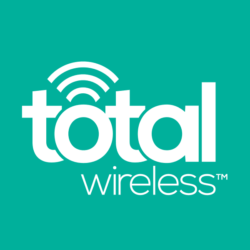 I LOVE Total Wireless. I have been with them for almost 3 years. Good Verizon quality. Goes everywhere. I never get close to running out of 5gb data. If you buy the cards from walmart they include 6gb data. I have never lost a call. I even used them during a blackout when wifi and other phone (sprint ugh) would not work. 2 Questions: First I looked at Verizon Prepaid and specials. They appear to cost $35 and $40 per month but then there is another $20 per month “connection” charge. IS THIS CORRECT?? Second, is there any Verizon MVNOs that uses the Verizon “Roaming” system as part of what they provide?? Thanks, ron t.
Verizon prepaid does not charge a “connection charge”, that charge you are referring to is called a “Line access charge” and it is for Verizon postpaid customers. Boom Mobile comes closest to offering full roaming as per a previous comment. Anything new about Verizon removing the 5mbps cap? I’m looking to go to a Verizon prepaid carrier for better coverage.